Above counter white ceramic rectangular vessel. Completely finished from all sides including back. Premium white glaze for a glossy finish. 19.5-inch W x 9.5-inch D Rectangular Vessel Sink in White with Drain It features a rectangle shape. This vessel set is designed to be installed as a above counter vessel set. It is constructed with ceramic. This vessel set comes with a enamel glaze finish in White color. It is designed for a single hole faucet. 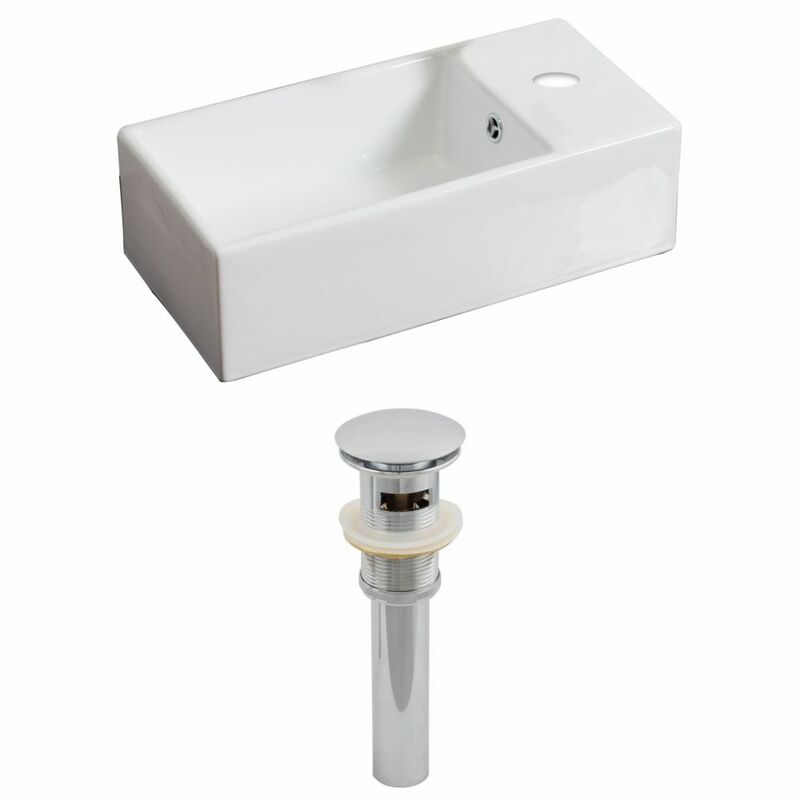 19.5-inch W x 9.5-inch D Rectangular Vessel Sink in White with Drain is rated 5.0 out of 5 by 2. Rated 5 out of 5 by Fine wine andy from Perfect for my application I repurposed an old Singer sewing machine into a vanity and popped this on top. Worked perfectly and fit the space. It looks great at the cottage in the main floor bathroom. Took a little longer to deliver than I wanted but have no regrets. Rated 5 out of 5 by Duke from Nice sink Awesome sink. The finish is nice on all sides and the quality seems to be good. No complaints here!